In the generations that follow the Salem Witch Trials, one family continues to experience what they believe is a curse placed upon their ancestor by one of the accused in Nathaniel Hawthorne’s gothic classic The House of the Seven Gables. Now caring for the house that belonged to the accused and was taken into possession by her ancestor, Hepzibah Pyncheon has found herself near poverty and must open a shop to offset the costs of living in her old New England town. It seems that various forces are trying to get her out of the house, including her relative who has an interest in owning the house himself. Meanwhile, a young cousin, Phoebe, arrives to Hepzibah’s home and finds herself courting Hepzibah’s tenant, a man by the name of Holgrave. Their connection, however, is more than it appears and the question of the curse continues to linger over the household. I’ve had an interest in reading this novel for a long time — ever since I visited Hawthorne’s home in Salem, Massachusetts, which is widely believed to be the structure upon which the house of this novel is based. While I tried to read it last October, the prose proved to be too dense for me at that time, so I held off and returned to it this year in the spirit of Halloween. 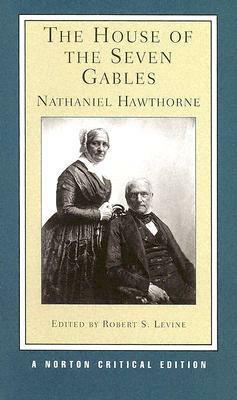 I expected The House of the Seven Gables to have a creepier feel to it, and found that the supernatural elements of the book are more ambiguous and the descriptions less grotesque than I expected, but still found many of the societal horrors Hawthorne portrays chilling. Hawthorne is surprisingly socially aware, particularly for his time. While you shouldn’t expect anything to the level of Black Lives Matter in Hawthorne’s work, like The Scarlet Letter, The House of the Seven Gables explores themes of the marginalized. In this case, those in poverty. While the story’s aim, it would seem (never assume author intent! ), is primarily one of entertainment, these comments on society find their way into the narrative and Hawthorne finds excellent ways to illustrate the effects of systemic, generational poverty and how it is perpetuated. Additionally, Hawthorne’s awareness extends into the philosophy of perception, in that while readers are first introduced to Hepzibah Pyncheon essentially through her eyes, her reliability and sanity come into greater question as the perspective shifts to be more from cousin Phoebe. This subtle move brings interesting questions into play about truth, reality, and, of course, perception in a way that is strong without being overbearing or distracting from the story. Like its contemporaries, The House of the Seven Gables is full of rich prose, which can at times make the novel especially slow. The narrative itself is a bit of a slow burn with subtle plot points and a conflict that, frankly, is not terribly exciting. Still, Hawthorne maintains his readers’ attention with astute observations couched in a style that is fun to unravel and roll around in the mind. And, too, like a Dickens novel, this work slowly builds a case that is revealed in the end — at least in some plot aspects, while others remain shrouded in mystery or up to the reader, depending on what kind of reader you are. The House of the Seven Gables is about what you can expect insofar as Nineteenth Century classics go — a little on the slow side; full of dense, flowery prose; atmospheric; and philosophical. Although the plot is not full of excitement and drama, it’s still an interesting one and the book as a whole provides a fascinating study of life in Salem, Massachusetts in the 1800s.